This page was printed from http://www.crosleycompany.com/1747-2/. Visit www.crosleycompany.com for more information. filed under All Articles, Featured, Growth Leadership. Reprinted with permission from Public Accounting Report. Any discussion of “revolutionary moments in audit” would have to include the first known mention of audit activity in Mesopotamia, thousands of years before Christ. It would note the appearance by the fourth century B.C. of systems for tracking the movement of goods in ancient Egypt and Babylonia. Such a look back would cite the advent of double-entry book- keeping around the 13th century and the emergence of the modern profession in Scotland in the 1800s. Without the benefit of hindsight, it is safe to suggest that the current moment will be recalled as equally revolutionary. Spoiler alert: The audit of the future is here! Current conditions and technologies are poised to transform the practice of auditing. While we may find it bumpy and disruptive, there’s no need to fear this sea change. With foresight and preparation, the audit of the future will bring significant value to practitioners and clients alike. It is not overstating to suggest that auditing as we know it will be wholly transformed over the next decade. The practice has become thin-margined and commoditized. In the predictable life cycle of any product or service, audit is in a mature stage and, as such, has become sluggish, lacking in margins and innovation. Like any service in its mature stage, it is poised to undergo a revolutionary reinvention. For the past 25 years, auditors have been financial historians. Sampling became accepted practice because it was not cost effective to touch every transaction. It was labor- intensive and often logistically impossible for auditors to access and avail themselves of all transactional activity. So our task became to assemble a pile of historical data and sample 10, 25 or 50 items to confirm that it was reflective of financial conditions. In fact, in its current iteration, the financial statement has become little more than a compliance requirement. While it is true that sampling is now accomplished with computers rather than with pencil and paper, the reactive, historical nature of the activity has remained unchanged. Data analytics. Data analytics refers to the process of amassing and analyzing large quantities of information. The emergence of data analytics has turned sampling into a T. Rex The behemoth that once ruled the land is now lumbering slowly toward extinction. That’s be- cause today it is fully possible to touch, monitor and analyze 100% of a data set and, with the help of powerful computers, confirm every single transaction. This is the polar opposite of the needle-in-the-haystack approach that is (or was) sampling. Artificial intelligence (AI). Artificial intelligence applies the computational power of the computer to big data, seeking notable patterns and possibilities. AI also makes it possible to automatically arrange information from the same source into different categories. In much the same way that AI can “read” reams of medical research and organize it into a data bank that ultimately points to a difficult diagnosis, accounting-based AI can analyze and draw conclusions while identifying notable outlier transactions that require closer review. For example, in the past, reviewing a large number of lease contacts to ensure that they were properly booked required a small army of auditors holed up for weeks in a back room. Now, thanks to AI, a computer can read, evaluate, assess and draw conclusions on a pile of contracts within a few hours, reliably flagging possible problems and inaccuracies for further review. Cybersecurity. Cybersecurity is the work of attesting that amassed data are reliable and secure. With greater dependence on data comes more data breaches and a heightened need to be able to attest to the security of the information. That includes everything from the processes that produce it to the people who touch it. Continuous audit. The cloud makes it possible to check and share financial information in real or near-real time. Data can be analyzed with astounding frequency—from every week to every hour, depending on the system. Even as debits and credits are booked, the activity can be automatically recorded and reported in the cloud. Compare that instantaneous access to current practice of waiting 12 or more months after transactions has taken place to respond to their accuracy based on sampling. Blockchain. Although frequently described as the technology behind Bitcoin, blockchain is much larger than digital currency. The Harvard Business Review describes it as an “open, distributed ledger that can record transactions between two parties efficiently and in a verifiable and permanent way.” Transactions are embedded in digital code and stored in transparent, shared databases that are protected from deletion or tampering. As a transaction moves from one entity to the next, consensus-approved information is added and securely embedded. Blockchain has given rise to what’s known as triple entry accounting, in which transactions are recorded not only as debits or credits but as secure, cloud-based interlocking chains. In the future, we will no longer be required to audit transactions, but we will audit the blockchain itself. In fact, the audit of the future will assess and verify the people, processes and systems on which auditors base their assurance. As a result, auditors will be able to ensure the integrity of the elements that contribute to assurance, improving the quality and accuracy of information available to decision makers. If yesterday’s audit was a traditional automobile equipped with a rear-view mirror, the audit of the future is comparable to the autonomous or self-driving car. Like these futuristic, sensor-studded vehicles that advise when something is amiss or in the vehicle’s path, the audit of the future looks ahead and around the next corner, constantly analyzing, anticipating and advising. Indicators reveal possible discrepancies, such as an inaccurate financial statement, or a long-term purchase commitment that appears at risk. The implications for personnel are profound as auditors groggily stumble out of the primeval forest, moving toward a lighter, brighter place where audits will be responsive to the way people make decisions—instantaneously and around the clock. The auditor of the future will be a knowledge-based, consultative professional. Mechanical functions like tracing a number from Point A to Point B will be replaced with interpretive, insight-based duties that permit the auditor to interpret data-derived conclusions and follow them to their logical conclusions. To ready themselves for this massive shift, firms will need to abandon the practice of restraining highly trained, competent young auditors. The days of checklist-based auditing are quickly coming to an end. Research suggests that audit compliance will disappear in the next 10 years. Attestation will center not on transactions but on systems. How do you get from here to there? In addition to the five technology-enabling waystations summarized above, we have identified five process waystations, a sequential road map to help you develop and grow the services and capabilities required to deliver not only the audit of the future, but the related consulting services that technology will enable. Your destination? A virtual rebirth of the relevance of what the firm does. Research. Innovation of any product or service is a two-phase pursuit. Phase One is to become a knowledgeable expert and display that to the market. Phase Two is the implementation of the innovation. Research prepares you to not only execute an audit of the future but aligns you to become the thought leader others will look to. Amass knowledge by reaching out to vendors, consultants, professors and peers. As you interview these sources, you will identify top experts in the various technologies. These become a source of insight and guidance as you move forward. Initial research should be conducted by your service line leaders (audit, risk management, etc.). Once they become well grounded, it’s time for industry leaders to get involved and research how these technologies impact their niches, such as AI in healthcare or cybersecurity in real estate. Become a thought leader. Research prepares you to become a thought leader. Your clients are hearing about the audit of the future, and it might as well be from you. Write about it. Provide an executive summary in all your outgoing proposals. But what if you’re not quite there yet? Even if you haven’t developed into a bonafide thought leader, you can still have an impact, for example, by diving into the thought leadership of others and sharing it. Interview those leading the charge and write about their views. Plan a webinar or conference and invite these individuals to present. In these and other ways, you bring essential information to your clients, prospects and contacts, even as you develop your own unique expertise. Bottom line: There’s no innovation without thought leadership. Identify early adopters within your client base. Once you have identified valuable contacts and resources through research, it’s time to get some clients to “practice” on. Brainstorming about the firm’s clients will lead you to forward-thinking organizations and individuals who like the idea of hovering on the leading edge of a new offering. Certain applications and industry sectors will emerge as likely targets for early adoption projects, for example, data analytics in the manufacturing environment. Not everyone is a potential early adopter. Probing conversations will reveal a client’s readiness and willingness to take this walk with you. Invite their active engagement, ask for feedback and acknowledge their contributions. As you be- gin to plant these early adopter projects, you will begin to see how your new offering will take root in the market. Evaluate the relationship between your firm’s A&A and risk services departments. As audits morphed beyond financial statement attestation into Sarbanes-Oxley compliance and related internal controls services, these functions were often organized into a separate risk management While often not traditionally linked to audit, risk services should be now, as it is the department where the new technologies may first emerge. The era of siloing these departments has ended, or at least it should. A recent visit to a firm revealed that the risk services leader had hired a data analyst. It was shocking to learn that the A&A leader didn’t even know this specialist was on the payroll. The structure of this relationship must be thoughtfully crafted. But regardless of who reports to whom and how, what matters is creating the opportunity for alignment and communication between these parties. In addition, data analytics will not only support financial statement audits and internal audit services but will also be used in client accounting services, CFO outsourced consulting, business valuation, litigation support, and all manner of financial/accounting consulting. It will be closely tied to industry solutions. You should begin to see a pattern of all your industries and service lines needing to collaborate more closely than ever before. Acquire needed expertise. KPMG recently announced its support for a Master’s of Accounting with Data and Analytics at nine institutions of higher learning. Make data analytics your first priority, as it’s the technology most ready to blast off. Boost your resources in internal audit and internal controls, including SOC services. Use information gleaned in your research to identify ways to start working with these technologies, even before you’ve had a chance to hire permanent staff. Use a data analytics consultant to immediately get your initiative off the ground, even as you search for permanent talent. Consider changes in your hiring approach so that instead of hiring eight recent accounting graduates, you may hire four, plus two experts in data analytics and two in other technologies. Also, be on the lookout for emerging talent from within. Talk with up-and-coming members of your firm to gauge their interest in learning new technologies, then support those who come forward. The perfect storm of technology, timing and talent we now face offers a historic opportunity to reinvigorate the practice of auditing. But it’s not going to happen automatically. The choice is to boldly enter the doorway now opening or to sit back and permit audit to remain a sleepy, bulky offering that’s more about ticking and tying and less about analysis and information processing. This opportunity extends beyond audit. It is a business-level issue with profound implications for our profession and our ability to serve our clients. Alan Anderson, CPA, CGMA has experience in the world of auditing and accounting and helped standardize the global audit approach of McGladrey & Pullen (now RSM) and oversaw the AICPA’s initial move to implement paperless solutions. He leads the creation and delivery of the Audit of the Future for the AICPA and is the executive director for the AICPA/Rutgers Data Analytics Research Initiative (RADAR). Contact him at aanderson@accountabilityplusllc.com. Gale Crosley, CPA, CGMA, is a renowned consultant who advises accounting firms on revenue growth. She was awarded the Advisory Board Hall of Fame. 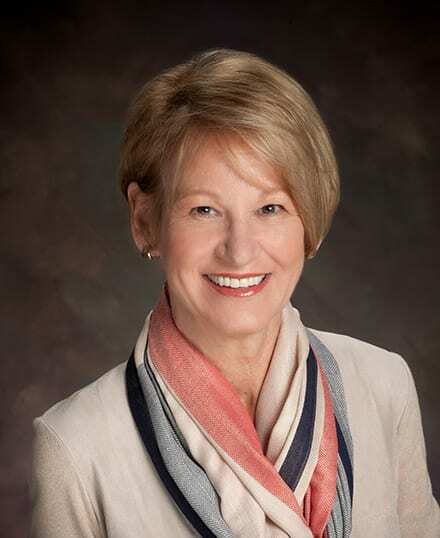 Gale is an honors accounting graduate from the University of Akron, Ohio, winner of the Simonetti Distinguished Business Alumni Award, and is an editorial advisor for the Journal of Accountancy. She can be reached at gcrosley@crosleycompany.com.